For this vintage Ford pickup to survive so long in the northeast, it would have to have been a carefully-tended-to garage-kept apple of someone’s eye. Rust is too cruel a monster otherwise. 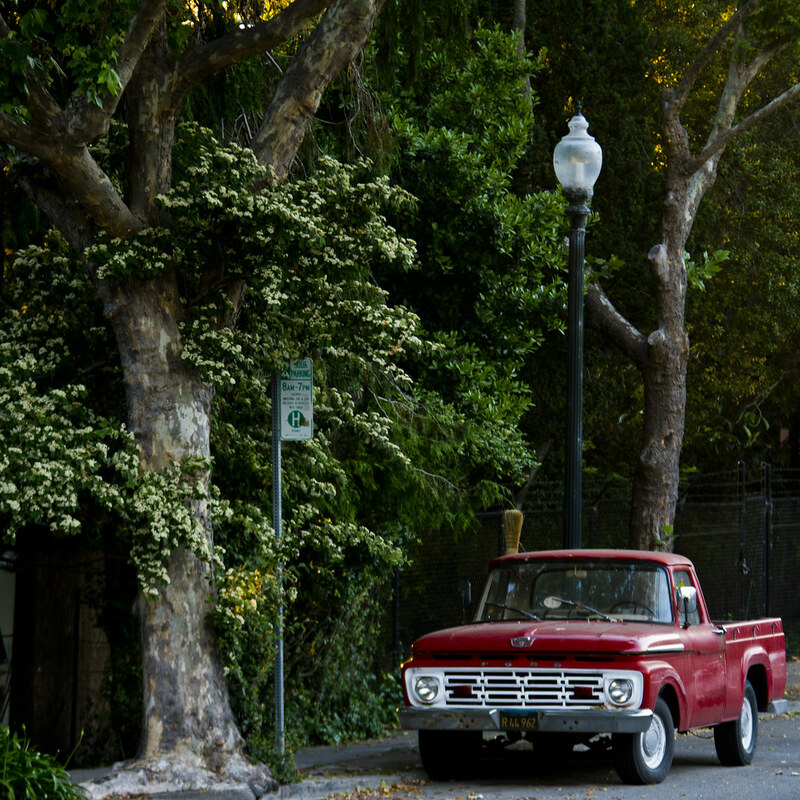 On the streets of Berkeley, by comparison, older vehicles seem to still be around simply because there has been no reason for them to ever stop being around. Though I suspect this is indeed a well-loved truck, nothing about its existence so formally requires that as the equivalent vehicle would in my new neck of the woods.